Tambomachay: At 7 Km. 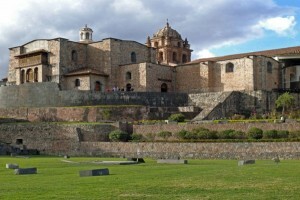 From the city of Cusco, ceremonial center of cult to the water,known traditionally as the place where water rests. At the return to Cusco (18:30 hrs) we can be dropped off near to main Square or at The Dance and Music Show to watch tipical dances of Cusco. This tour starts 08:30 am, we pick you up at your Hotel, we have a guided tour to the Sacred Valley of the Incas, over the Vilcanota river, with a panoramic view of Pisac an old Inca City and a visit to the Inka market in this village, where we will have the chance to know in a closer way its people customs and get good bargains with the handycrafts and souvenirs sellers, afterwards we’ll head for Urubamba, traveling on the borders of the river Vilcanota. We’ll have the chance to walk by the narrow streets and have a clear knowledge of how this militar, religious and cultural center was during the Inca empire. Tour a Machupicchu “The lost City of the Inkas” After getting up early and have breakfast, we climb to the Inca citadel of Machu Picchu and we can appreciate the spectacular sunrise this marvel and we will have two hours with our guide . Optional: can make the trek to Huaynapicchu this will take about 2 hours round trip (no guide and $10 usd plus). Then you will be given free time to stroll through the citadel. They will have all morning to Machu Picchu to take pictures and be in this mystical place. Then descend by bus to Aguas Calientes in the afternoon and take the train back to Ollantaytambo, where our staff will be waiting for you, to transport you by bus to Cusco and drive you to your hotel. After enjoying breakfast in the hotel, we’ll pick you up at 09:00 hrs in our mobility, to go to the town of Maras and make a colorful journey, through towns and beautiful scenery so we can enjoy in our tour, first visit the town of Maras, from there you can appreciate the range and Vilcanota snowy peaks as “El Chicon” and “Veronica.” Today, this village guard attractive from the pre-Hispanic, colonial and republican, then visit the Moray Archeological Complex located 7 kilometers southwest of Maras; are a set of enormous terraces that overlap concentrically in a giant pit, these beautiful terraces in the Inca served as an agricultural laboratory “Greenhouse Prototype.” Finally we will visit the Salt located northwest of the town of Maras are comprised of about 2000 small wells with an average area of about 5 meters, operated from the Inca, Colonial Period and which remains even exploited by the locals. After our visit we return to Cusco. Farewell and travel from Cusco to Lima After having a good breakfast. we’ll pick you up from your hotel to drive you to the airport in Cusco, which is a few minutes from downtown Cusco, we must be one hour before at least to make arrangements for confirmation of flight After check in at the airline to fly and pay the airport tax, we said goodbye and you’ll aboard the flight from Cusco to Lima. 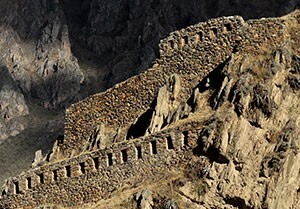 Tours to Machupicchu, sacred valley, Moray and Maras Cusco City. Bus tickets up and down Aguas Calientes – Machupicchu – Aguas Calientes. Professional tourist guide in English or Spanish. Entrance tickets to all to visit Machu Picchu, Sacred Valley, City and surrounding areas, and museums. 4 american breakfast t in hotels, 1 lunch buffet in the sacred Valley.